Consulting Forester - First, let me define what I mean when I say “forest”. You do not have to agree with my terms but you will understand what I mean. A forest is a highly ordered arrangement of living organisms, living in, on, and around, all of the ecological stages of trees (be they dead, alive or symplastless) in such a highly ordered fashion that assures high quality survival for all. The US Forest Service in commenting on a logging project in the Allegheny National Forest once defined a forest as “A single stand or group of trees under one or more ownerships”. That’s fine, that’s what the forest is to them. A definition of a "forester" would be different for them under these conditions. They had no background in tree biology. Maybe that’s why my definition is different. As far as they are concerned, you can plant a forest. I must admit that it is a little far fetched. Now allow me to define what I mean when I say “consulting forester”. 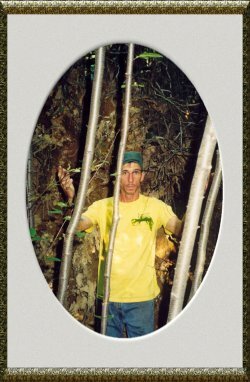 First and most important - Beware of so-called tree experts that do not understand tree biology. Would you go to a Medical Doctor that flunked anatomy? A consulting forester is one who has a background in tree biology, makes decisions on the ecological stages of trees and their associates, based on tree biology and not board foot. In fact, cutting the wood out of a once fertile forest, has “no” benefit for the health of the forest. If you know of one, please let me be the first to know. Usually when I am wrong, I am happy. I have taken a closer look at what logging is and have offered only a fraction of just “What it is”. A consulting forester has many things to take into consideration. Now, that's my definition. Next time someone say's they are a consulting forester ask them to define it - I dare you! A solution offered in peer reviewed published journals is that we are required to separate the forest from the tree farm. Tree farmers will require help in making sound decisions in efforts to produce a supply of high quality product over time. Tree biology would be a great value to them. Clear-cutting a tree farm and using what would have remained as low quality wood in a chipping mill is too much taking. Post logging decadence (sic) is no secret. Soil wood will play a key role in the quality of products and the success of tree farming. The legalization of commercial hemp in the United States will help attend to many of the needs of man thus allowing more soil wood in tree farming. I do not see how, from a tree biological stand point, you will have success any other way.